Today, September 19, 2017 marks a historic date in the realm of surf parks and man-made surf destinations. The World Surf League (WSL) and Kelly Slater Wave Company (KSWC) hosted a private, invitation-only event in Lemoore, California with a cherry-picked roster of the world surfing elite at the KS Wave Co Surf Ranch. The purpose of the event is reportedly intended to demonstrate and showcase the potential of hosting competitions and events at KSWC’s man-made surf venues. ‘The Test‘ conducted today should show the world the broadcast capabilities, enhanced spectator experiences and a long list of advantages of hosting professional surfing events in surf pools and man-made facilities as opposed to natural ocean breaks. See below for a full rundown of ‘The Test’ and a full list of updates from the day. The women have been blowing minds during the mock Round One test. With a stiff breeze blowing, the rights are easier to surf than the lefts. The barrel sections zip off quickly in both directions, so there’s little margin for error. Johanne Defay and Pauline Ado got busy refining their acts in the athlete chill zone. It’s honestly hard to tell who the most excited surfer here is today, but Filipe Toledo would have to be in the running. The Hurley Pro champ has his game face on, too. Something tells us he’s hoping to make some history here. With this test event representing a huge milestone in the history of professional surfing, the WSL and Kelly Slater invited a number of pro surfing’s founders to attend this landmark occasion. Shaun Tomson, Wayne “Rabbit” Bartholomew, Mark Richards, Ian Cairns and Peter Townend are all here, along with Hawaiians Fred Hemmings and Randy Rarrick, who started the IPS. 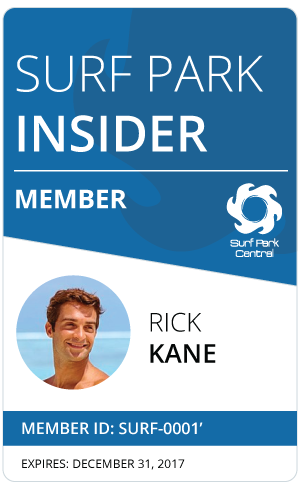 Pingback: Surf Park Central | Surf Parks: The Future of Professional Surfing?